It’s crowded. The waiter has barely acknowledged your existence since taking your order, leaving you unable to complain about the half-frozen burger you received instead of the BLT you actually wanted. But it’s okay - you’ve got a £3.50 glass of draft lemonade to make it all better - oh no, wait - it’s gone flat. You sigh. Maybe you should have trusted Stacy from TripAdvisor’s 2* BAD SERVICE, TERRIBLE FOOD review after all. Instead of paying £50 + a ‘discretionary’ service charge for a dining experience you couldn’t be paid £50 to go through again, try making a meal out of staying in. 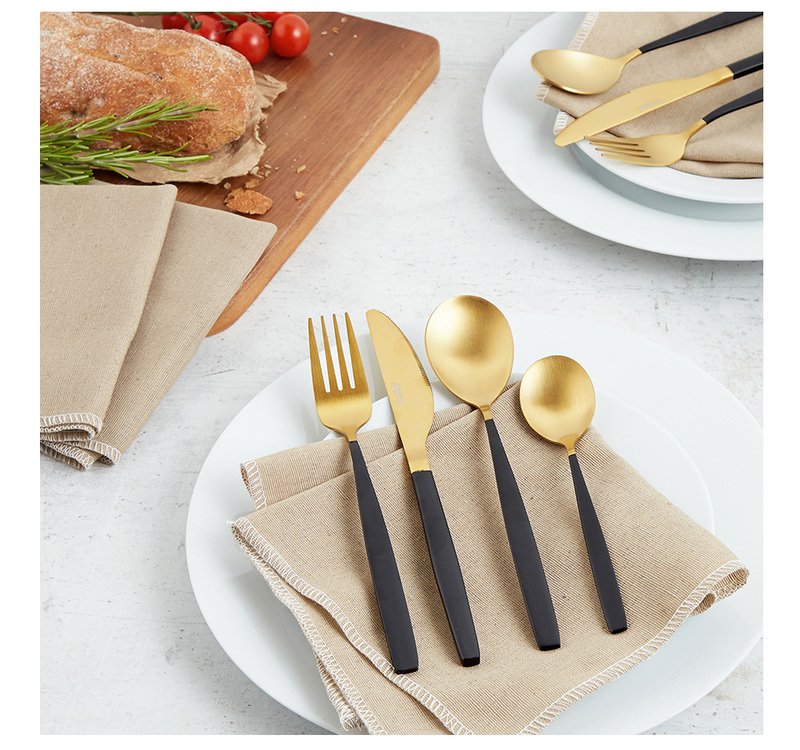 16pc Black & Gold Cutlery Set. Whatever’s on the menu, all fine meals start with elegant tableware - such as the exquisite VonShef 16pc Black & Gold Cutlery Set. Made from stainless steel with a hand-polished black & gold finish, these forks, knives and spoons are so smart-looking, you could serve your guests spaghetti hoops, call them Spaghetti Hoopio A La Tomáte and no-one would bat an eyelid. 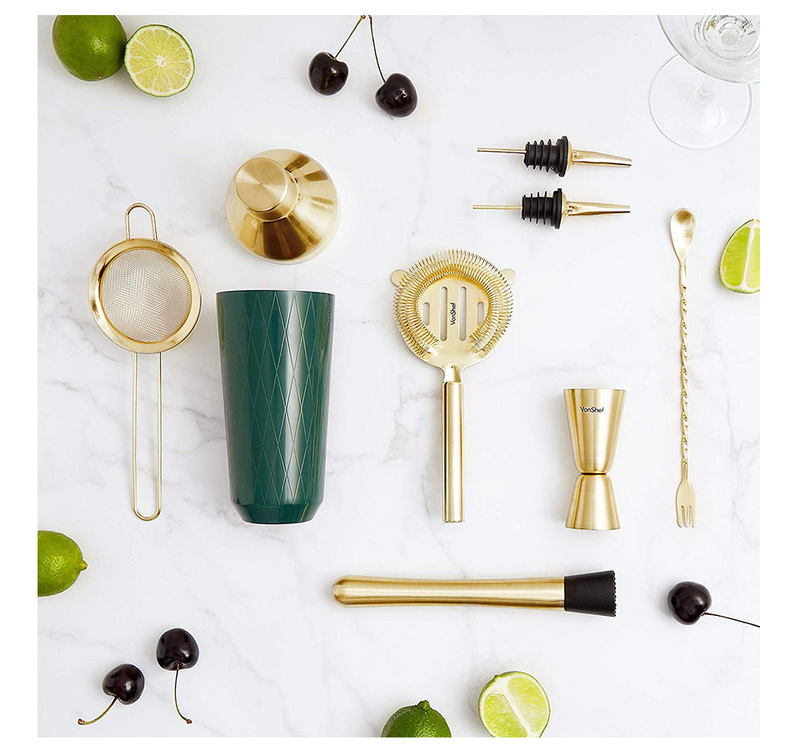 Green & Gold Cocktail Set. Don’t let dull drinks set your home dining experience off to a dreary start. Instead, lay out some glasses and shake together 50ml amaretto, 25ml fresh lemon juice, 5ml sugar syrup and a dash of egg white with plenty of ice in the VonShef Green & Gold Cocktail Set. Congratulations, you’ve just made an amaretto sour - and with such a stylish cocktail shaker - looked great doing it too. Chicken goujons. Calamari. Spring rolls. Whichever restaurant you go to, there’ll always be some deliciously deep fried starters to treat yourself to. 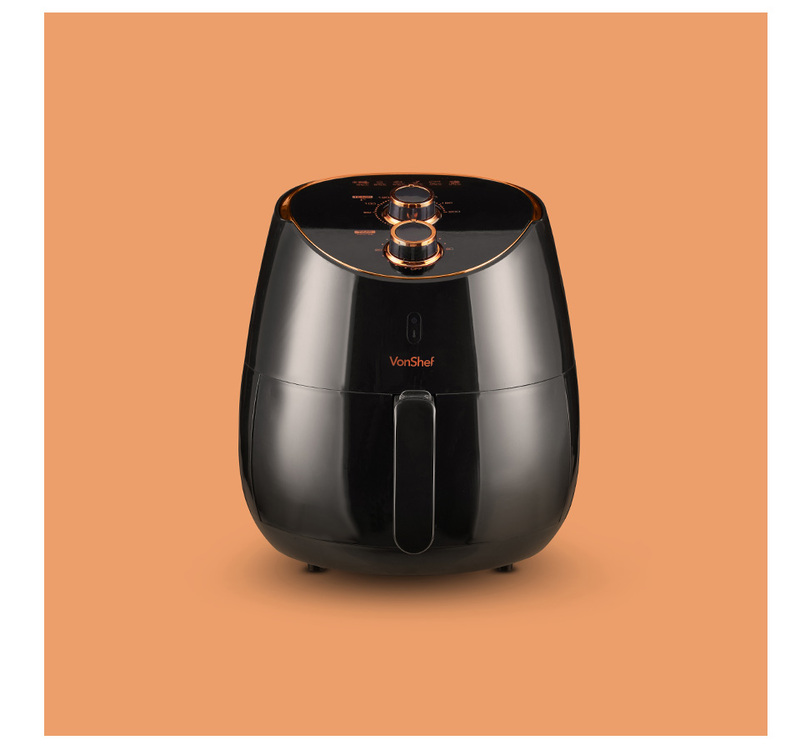 With this air fryer, you can enjoy them all using up to 80% less fat and still get the same mouthwateringly crunchy results. Plus, they’ll taste even better knowing you didn’t pay £6.50 for a measly portion of 3. You can buy a good steak at any supermarket and cook it exactly how a chef would, without being charged an extra £20 for the privilege. 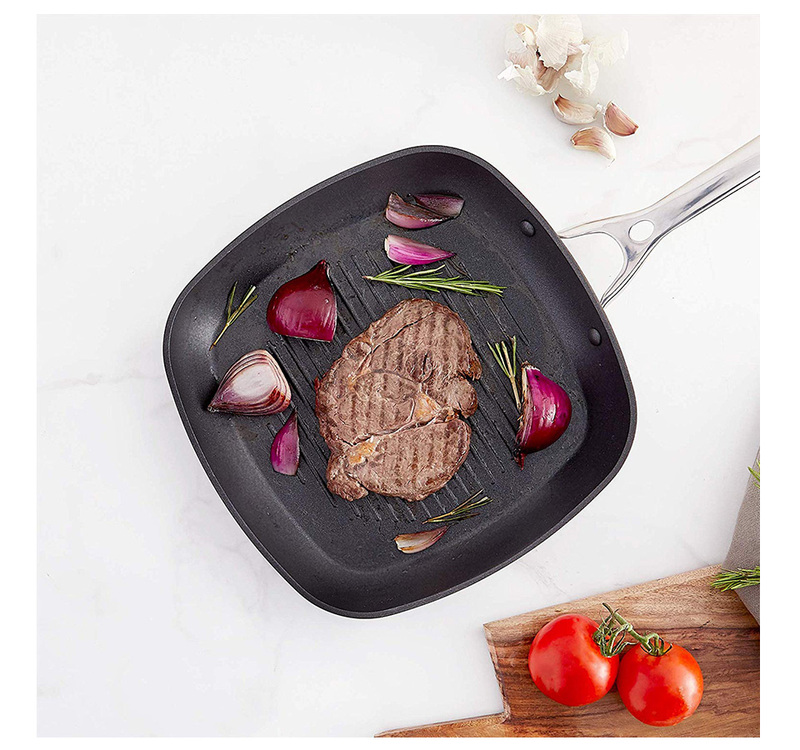 Of course, you won’t have a waiter pronouncing ‘Steak Frites’ in a bad French accent as its served to you, but with a VonShef 28cm Griddle Pan in your kitchen, you’ll still get the same streaky sear you love. Tired of cookbooks casually asking you to ‘finely dice’ this and ‘quickly slice’ that as if you were a seasoned sous chef with second-nature knife skills? 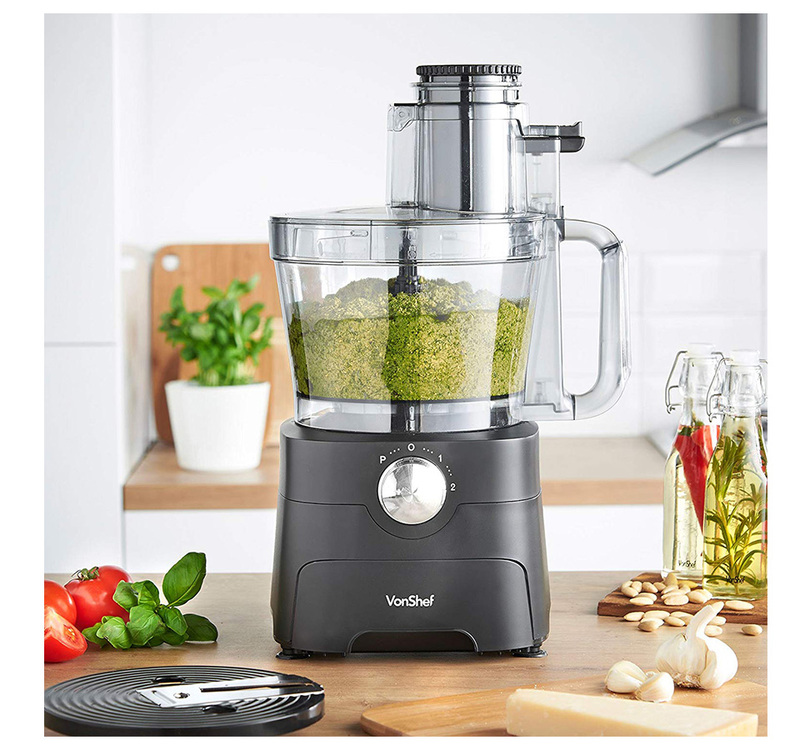 Beat the system with a VonShef 1000W Food Processor, which lets you blend, chop, shred, grate and slice your way to an endless range of recipes in a matter of seconds. Finally, it’s time for the final course, and no, sliced orange isn’t the only freshly made dessert you can serve up. 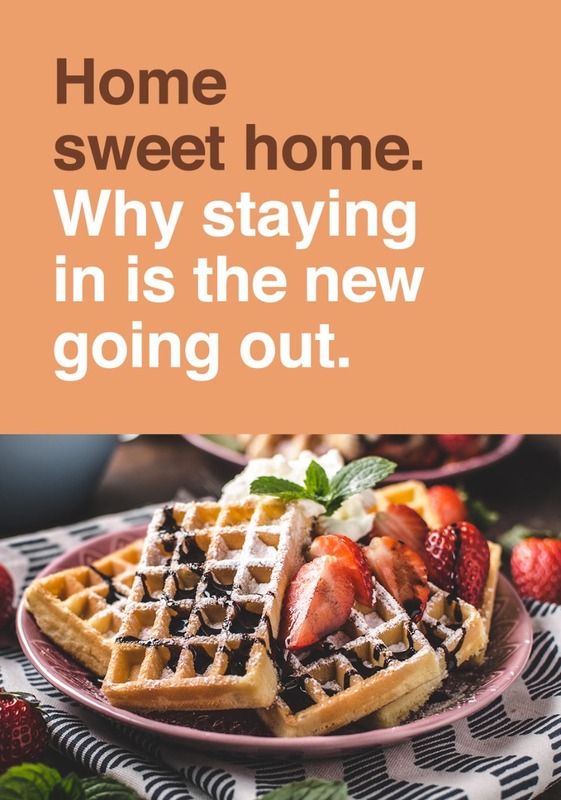 Because you’re a smooth, ultra-prepared host, you’d already prepared some waffle batter to ladle into your VonShef Rotary Waffle Maker. 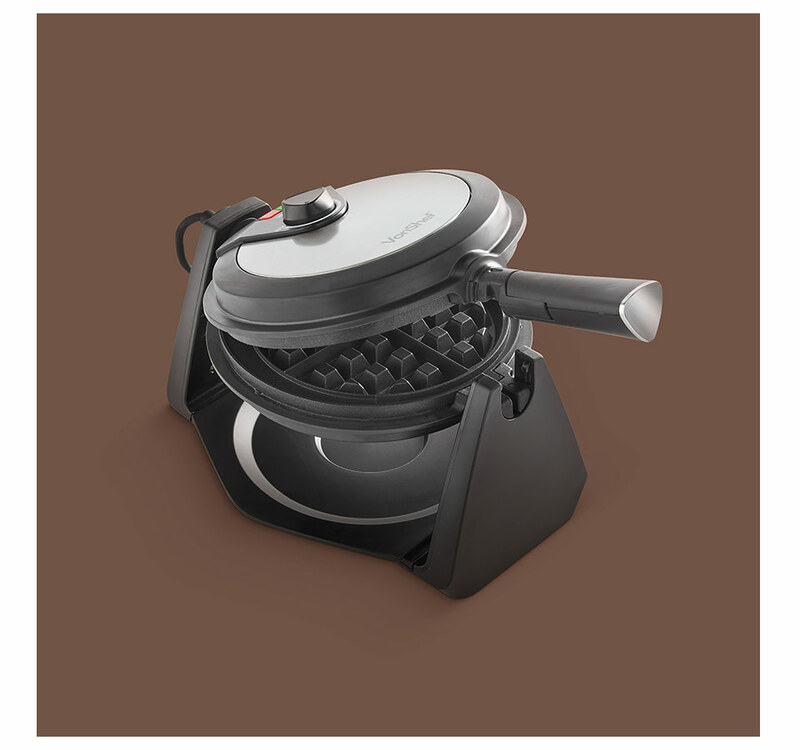 With a press that’s able to fully rotate by 180°, it cooks the waffle on both sides to deliver perfectly even results in less than 5 minutes. Just don’t forget to include some decadent toppings to really finish up this home dining extravaganza with a dizzyingly delicious bang.